International advisory firm Montfort International is to contest a ruling by the Financial Ombudsman Service that that it gave “unsuitable” advice to a client in 2010. Geraint Davies, managing director, Montfort International, (pictured above) told International Investment that the company was “very disappointed” with FOS’s decision and that the company would be appealing. According to the report detailing the Ombudsman’s decision, the client known as Mr and Mrs D, went to Montfort in 2010 for advice as they were planning to emigrate to Australia. Montfort recommended Mr D should transfer his existing pension plans into a SIPP; as a precursor to investing in a Qualifying Recognised Overseas Pension Scheme (QROPS). Montfort advised Mr D to move his funds within the SIPP into a currency trading account. He was told this would allow a swift transition from British pounds sterling (GBP) into Australian Dollars (AUD) at an appropriate moment. Once a currency exchange had taken place, Montfort explained the funds could move from the SIPP into an Australian QROPS, the FOS said. Mr D took Montfort’s advice, and a number of his pension plans, built up over a significant portion of his working life, were transferred. Following the relocation to Australia, Mr D’s marriage failed; as a result neither the currency transfer, nor the move to a QROPS took place. Mr D returned to the UK. Mr D complained about advice he was given by Montfort in preparation for his divorce. And he also complained about this original advice he was given in 2010. Montfort rejected all the complaints made by Mr D. The complaint about the more recent advice has been looked at separately. The FOS adjudicator upheld Mr D’s complaint, the report said. 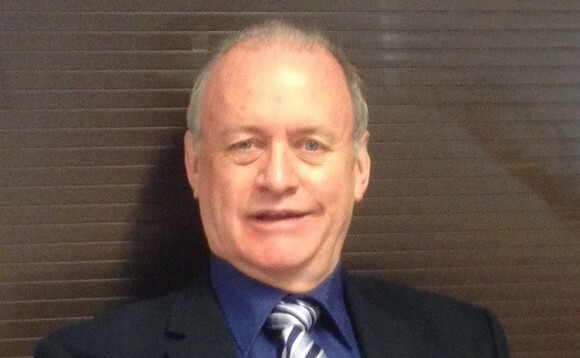 “Montfort International prides itself on the financial advice given to its customers and is very disappointed about the ruling made by the Financial Ombudsman Service (FOS) in connection to Mr D’s case,” said Davies, (pictured above). “We believe the advice Mr D received in 2010 was suitable for his needs at the time and could not, in any way, have foreseen his marriage failure. Montfort International are currently in the process of appealing the decision from the FOS,” Davies added. The FOS report said: “Montfort took a percentage of the value of Mr D’s plans on transfer, with a further annual administration charge, based on a percentage of the fund. These charges covered the initial transfer advice as well as other costs associated with transferring to the QROPS. It’s not clear to what extent further work might have been covered. The FOS said there was no suggestion or indication that Mr D’s original pension plans were unsuitable. The adjudicator didn’t think there was any pressing need to move Mr D’s funds into a SIPP straight away. He acknowledged there might be some value in reviewing the position after the proposed emigration had taken place; and once Mr D had become settled enough to make long term plans. The adjudicator set out the following in summary that: The information and advice wasn’t suitable for Mr D’s circumstances at the time; moving into a SIPP created an immediate loss to the funds because of the charges taken (with the potential for further loss); the penalties may have been incurred; he move didn’t match Mr D’s needs or concerns at the time. It couldn’t be known and so shouldn’t be decided in 2010, whether an Australian QROPS was the right choice in the long term, the FOS said. In the statement in the FOS website Ombudsman Louise Wilson, said: “I have no doubt Mr D intended to permanently emigrate with his wife. He could not know his marriage would fail or that he would return to the UK. And Montfort can’t have been expected to have foreseen this particular likelihood. But Montfort had a responsibility to give suitable advice. “And based on everything I’ve seen, I don’t think the transfer into a SIPP was suitable or necessary at the time. There’s nothing that makes me think there was any pressing need or requirement or desire, to move Mr D’s plans from their existing contracts. Wilson also concluded that the advice did not adequately accommodate a potential return to the UK; and it meant that a transfer was completed prior to there being any need. “I haven’t seen anything that makes me think it would not have been preferable for any transfer to have been advised on as a potential future action, depending on how any move to Australia succeeded,” she said. “By completing the transfer at such an early stage of Mr D’s move, his fund suffered a number of unnecessary losses, including the impact of charges,” Wilson continued. I’ve seen what has been said about Mr D potentially receiving other advice once he had moved to Australia. As well as Montfort’s concern that he didn’t invest when they encouraged him to do so. I don’t accept any of these matters impact on the suitability of the original advice. “I don’t think the transfers should have taken place. Mr D should have remained invested in his existing pension plans. “For the reasons given above I uphold Mr D’s complaint about Montfort International Limited. I direct Montfort to pay any redress due in line with the calculations set out above. In addition they are to pay Mr D £250 to reflect the upset he has been caused,” Wilson concluded. Interest at 8% simple a year becomes payable on all sums due, once the period of 28 days has passed from the date Montfort are notified of acceptance of this decision.